Following the Francis Inquiry in 2013 which identified serious failures in providing healthcare, Camilla Cavendish reviewed recruitment, learning & development, management and support of healthcare assistants and social care support workers. The resulting report found that preparation of workers providing care was inconsistent. The report recommended the development of a Certificate of Fundamental Care – the “Care Certificate”. is the minimum standard that should be covered as part of the induction training of new care workers. it gives workers a good basis from which they can develop their knowledge and caring skills. To be awarded the Care Certificate the person must acquire knowledge and demonstrate competence in all 15 standards. For CQC regulated providers, the Care Certificate is expected of care workers joining health and social care since April 2015. Although the Care Certificate is designed for new staff, it also offers opportunities for existing staff to refresh or improve their knowledge. It is the new employer’s responsibility to ensure that they are confident in the competences of their workforce. New employees must be supervised until assessed as competent. The worker must be in the line of sight of the supervisor who is present to observe tasks and activities and can intervene immediately if required. Direct supervision should be maintained until the worker is assessed as being safe to leave alone with responsibility for people they support. This can be done in a phased approach. As each staff meets an individual standard their supervisor may allow them to practice without direct supervision against that standard or particular task. Before being assessed the new worker should have had time to learn the underpinning knowledge behind the standards and had time to practice under supervision. An assessor must have thorough understanding, direct experience and be competent in what you are assessing. Different standards may require different assessors. The assessor is the person responsible for making the decision on whether the standard set out in the Care Certificate has been met. Competency Records must be completed. These Questions and Answers were produced jointly in partnership with Health Education England, Skills for Care and Skills for Health. They were updated in February 2016 to reflect questions received to all organisations supporting the Care Certificate implementation since these new induction standards were introduced. The Care Certificate is the minimum training, supervision and assessment that those staff new to care (health and adult social care) should receive as part of induction. The Care Certificate is intended to be used at the start of a career in health and social care. It ensure that people joining the sector can receive appropriate training, support and workplace assessment before they start to deliver care out of the line of sight of more experienced workers. It provides a foundation for those working in healthcare support and social care worker roles in England, ensuring that the new worker is able to provide a compassionate and caring service. There are fifteen standards that must be completed, involving knowledge learning, practical skills development and workplace assessments. Completion of all standards is required to attain the Care Certificate. What does the Care Certificate Cover? Following the report of the Francis Inquiry in 2013 which identified serious failures in healthcare provision, Camilla Cavendish was asked by the Secretary of State to review and make recommendations on the recruitment, learning and development, management and support of healthcare assistants and social care support workers, to help ensure that this workforce provided compassionate care. The resulting report, The Cavendish Review: An Independent Review into Healthcare Assistants and Support Workers in the NHS and Social Care Settings (July 2013) found that preparation of healthcare assistants and social care support workers for their roles providing care was inconsistent. The report recommended development of a Certificate of Fundamental Care – the “Care Certificate”. Does the Care Certificate replace staff induction? The Care Certificate is part of a structured induction but does not replace all of the learning required for staff induction. As well as the Care Certificate standards new staff will be expected to have information, knowledge and competences specific to the environment in which care will be provided. For example, new staff may receive induction on how to report accidents, and what to do in case of fire which will be specific to the location in which they work. The Care Certificate programme will not focus on the skills and knowledge needed to work safely and effectively in a particular location. The content of this remains the employer’s responsibility. Is the award of the Care Certificate based only on knowledge? No, to be awarded the Care Certificate the person must acquire knowledge and demonstrate competence in all 15 standards. Assessment of knowledge and understanding is prefixed with verbs such as “describe”, “explain”, “define”, “list” or “identify” and can be based upon written or verbal evidence such as a workbook, written questions, case studies or sound files. Evidence of performance prefixed with words such as “demonstrate”, “take steps to”, “use” or “show” must be undertaken in the workplace during learners’ real work activity and observed by the assessor (unless the use of simulation is specifically allowed). Learners can practice and develop their skills in a classroom or similar setting but most of the assessment evidence must be collected during real work activity. Does the delivery of “mandatory training” exclude the need for the Care Certificate? No. For those individuals joining with no past training and experience, each employer is likely to run a series of training sessions for their new workers. It is possible that these courses – sometimes referred to as “mandatory training” may cover some content of the Care Certificate. Since the introduction of the Care Certificate, many employers continue to deliver their mandatory sessions and complement them with additional training, supervision and workplace assessment. Are Care Quality Commission (CQC) regulated providers expected to cover the Care Certificate Standards? During the piloting of the Care Certificate in 2014, the indication was that for a full-time member of staff, the average amount of time taken to complete the Care Certificate was 12 weeks. It is likely that employers will find that the time taken to complete the certificate will vary depending upon a range of factors, including; the hours worked by the learner, teaching methods chosen, previous educational achievement, resources and opportunities for assessment, and the availability of assessors. Section 2: Who should do the Care Certificate? The Care Certificate is aimed at the following types of workers joining a health or adult social care organisation without any past training or sector experience. o Healthcare Support Workers / Health Care Assistants / Assistant Practitioners / any individual giving support to clinical roles in the NHS where there is any direct contact with patients. o Care Assistant / Care Worker / Homecare Worker / Care Support Workers. These workers will be giving direct care in in residential, nursing homes and hospices, home care workers, domiciliary care staff. Should existing staff employed before the Care Certificate was introduced do the Care Certificate? The Care Certificate is aimed at those new to health and adult social care, with no previous experience. For staff employed before 1 April 2015, they will already have completed the previous training required for induction. Employers are responsible for judging whether the jobs of individual staff require them to complete extra work to achieve the standards within the Care Certificate. If individuals have the competences and knowledge required for the Care Certificate the employer can choose to credit them with having obtained the Care Certificate. Should staff new to an employer but with previous health or adult social care experience do the Care Certificate? For those joining a health and adult social care organisation with previous experience, it is the new employer’s responsibility to check that the new worker can evidence past learning and identify any outstanding training and assessment needs. In some cases this may mean that the employer will require the individual to complete the Care Certificate. If someone has Level 2 or Level 3 Diplomas in Health and Social Care should they do the Care Certificate? The qualification will have covered some but not all of the Care Certificate. Employers should use the Mapping Document and Self-Assessment Tool to identify gaps and arrange any additional training and / or workplace assessment needed. Do temporary workers / bank staff need the Care Certificate? For Care Quality Commission (CQC) regulated providers, they have a duty to assess the training needs of all staff new to their organisation; this applies to agency, bank or directly recruited healthcare support and care workers. The responsibility of the training and quality of service provided by a temporary worker – whether covering for a number of months or covering one shift – rests entirely with the regulated provider, and not the recruitment agency. Can the Care Certificate be completed as part of pre-employment training? The Care Certificate was not developed to be part of pre-employment training. It is the employer’s responsibility to arrange the training, supervision and workplace assessment needed for the Care Certificate. Is the Care Certificate required to work in health or adult social care in Wales, Northern Ireland and Scotland? The Care Certificate was developed for use in health and adult social care in England. When should the Care Certificate be signed off? The Care Certificate can be awarded by the employer of any healthcare support or care worker who completes all standards. The Care Certificate should not be signed until the new healthcare support or care worker has completed all 15 of the standards. It is strongly recommended that the health or adult social care organisation uses the national Care Certificate template. A PDF and Word version is available and the employer can choose to add their own logo onto the latter if they wish. The certificate should be given the health or adult social care worker. The employer may choose to keep a copy of the certificate. Can learning providers sign the Care Certificate? No. The health or adult social care employer must take responsibility for final sign off. External learning providers who may have supported the training delivery should not sign and issue the Certificate. If the Care Certificate was completed at a previous employer, are they not responsible for any training failings of our new worker? No. If the new workers past training does not appear appropriate to their role, additional training, supervision and workplace assessment should be arranged. If concerns are raised about the quality of past learning, the new employer may wish to repeat some or all of the Care Certificate. Will there be a central register of staff who have been awarded the Care Certificate? No. There are currently no plans for a national register of healthcare support, care workers or similar. Each employer is responsible for maintaining their own records. For Care Quality Commission (CQC) regulated providers, this is something that may be looked at as part of the inspection process. National Minimum Data Set for Social Care (NMDS-SC). Whilst for the users of this service, this creates a central record, employers are strongly recommended to keep their own evidence. How is the quality of the Care Certificate assured? The employer is responsible for assuring the quality of training, supervision and assessment of ability of their healthcare support and care workers. Providers of care have a duty to ensure that people are safe, and their health and welfare needs are met. They must ensure that their staff are competent to carry out their work and are properly trained, supervised and appraised. Employers are responsible for assuring the quality of the teaching and assessment of the Care Certificate. It is expected that employers will use the standards to ensure that staff receive the training necessary so that they can develop the knowledge and competences necessary to provide safe and compassionate care of the highest quality. Possession of the Care Certificate will be one part of the evidence that they may need to make that decision. However, employers will naturally want to understand more about their new workers and what additional training and support may be required. Should assessment of the competences specified in the standards be carried out in the workplace? Assessment strategies differ depending upon which part of the Care Certificate is being undertaken. The guidance document sets out what must be assessed and how it should be assessed. Most assessment should be within a setting where care is being provided to service users/ patients, and should be completed face to face. More information is contained in the “Care Certificate Framework Assessor Document”. Learners can practice and develop their new skills in a classroom, skills lab or similar setting but the assessment evidence must be collected during real work activity. Who can assess whether a worker has achieved the required competences? The assessment (including observing someone and assessing their competence) must be undertaken by someone who is ‘occupationally competent’, which means someone who has the necessary experience to judge whether the learner has demonstrated the required competences. The guidance does not specify that someone delivering the training and carrying out assessment needs a specified qualification. The employer must be satisfied that the assessor is competent to assess whether the worker meets the standards of the Care Certificate. What is the minimum that should be covered to meet Standard 12 – Basic Life Support? • What qualifications should they hold? • How should training be delivered? Where an employer wishes to provide training that goes beyond the minimum requirements for the Care Certificate such as the use of an Automated External Defibrillator (AED) or an Emergency First Aid at Work course, but these components are not necessary in order to meet the requirements of the Care Certificate. Can employers outsource the Care Certificate training, supervision and workplace assessment to learning providers? The employer is responsible for those new to health and adult social care receiving the training, supervision and workplace assessment to meet the Care Certificate. Learning providers can be assist in this process but the induction process must remain the responsibility of the health or adult social care employer. The Care Certificate can only be awarded by the employer and they remain responsible for the decision to award it, irrespective of who undertakes the training, supervision or assessment of the certificate. Can e-learning / workbooks / films be used as part of the Care Certificate training delivery? Yes, but the Care Certificate cannot be fully achieved through the use of these training approaches. E-learning, workbooks and films can all be useful approaches to cover some parts of the Care Certificate learning and a mixture of all approaches can be helpful. However, the Care Certificate includes skills that must be assessed in the workplace. The Care Certificate Framework providers further clarity. What happens if the care we provide means some parts of the Care Certificate cannot be completed? Some health and adult social care providers may offer services that do not cover the full scope of the Care Certificate. If the worker is unable to complete all the standards and their related assessments successfully, the Care Certificate cannot be awarded. How was the Care Certificate tested prior to its launch? The Care Certificate was field tested with a range of employers across health and social care over the spring and summer of 2014. The piloting involved 29 organisations and a total of 530 participants, including 16 adult social care providers and a total of 230 participants. A formal evaluation was published in autumn 2014. Can the Care Certificate be used by Individual Employers and Personal Assistants? Yes. Individual employers wishing to induct their personal assistants using the Care Certificate can do so. As individual employers are not regulated by the Care Quality Commission (CQC), the use of the Care Certificate to support the induction of new personal assistants is completely optional. How much of the Care Certificate training, supervision and workplace assessment can be undertaken by the individual employer may depend on their own training and experience. However, individual employers can use external learning providers to support this process. Further to the Questions and Answers produced jointly in partnership with Health Education England, Skills for Health about the Care Certificate for all health and adult social care employers, Skills for Care has produced some additional clarity. This Adult Social Care – Additional FAQ reflects these and acts as an addendum to the joint list. Is the Care Certificate intended for those working in children’s social care? No. The Department for Education (DfE) is chiefly responsible for children’s social care. The DfE was not involved in the development of the Care Certificate and are not promoting its use in children social care settings. Do ancillary support and other non-care workers within adult social care organisations have to do the Care Certificate? The Care Certificate was not developed to be undertaken in its entirety by all workers within an adult social care organisation. Roles such as receptionists, porters, cooks, kitchen staff, drivers, cleaners, finance clerks, etc. working within a health or adult social care organisation do not need to complete the Care Certificate. The employer may deem that some parts of the Care Certificate are relevant to their role (for example, the employer may choose that all their staff undertake Safeguarding Adult and Children awareness training). Likewise, the employer’s own induction is likely to cover important training such as health and safety, assisting and moving, etc. if appropriate to the support staff member’s role. Do voluntary workers need the Care Certificate? This will depend on their experience, role and responsibilities. The role of volunteers within adult social care organisations will vary. Where their duties are very limited, the employer can simply deliver the appropriate points of the Care Certificate alongside other induction training. If the volunteer undertakes the same scope of duties as any other care worker then the full Care Certificate should be met (if the volunteer is inexperienced and not worked in the health or adult social care sector previously). If the volunteer has previous experience, the organisation should check evidence and assess their competences. When recruiting a new care worker, should we always look for a copy of the Care Certificate? The Care Certificate was only introduced on 01 April 2015. Those working in the sector before this date will most likely not be able to provide a certificate but they should be able to evidence what training and qualifications they have undertaken with previous employers. It is the new employer’s responsibility to ensure that they are confident in the competences of their workforce. How do domiciliary care agencies assess the competence of those new to the sector? The workplace assessment parts of the Care Certificate are equally important to those working in the community and homecare as any other health and adult social care service. Regulated providers are expected to assess the competence of the new care worker before they start delivering care out of line of sight of a more experienced colleague. Sufficient time should be planned to enable the assessor to undertake this important part of the induction process. How do Shared Lives and live in care services assess the competence of those new to the sector? If the service is regulated by the Care Quality Commission (CQC), there will be the expectation that those new to the sector are provided with the appropriate training, supervision and workplace assessment to meet the Care Certificate. Sufficient time must be planned to enable the assessor to undertake this important part of the induction process. For some services, the care duties required by people needing care and support may be limited. Therefore, in such circumstances, the employer should arrange for the worker to be trained and assessed in all relevant parts of the Care Certificate and document this. For Care Quality Commission (CQC) regulated adult social care providers, who signs the Care Certificate in the absence of the Registered Manager? In the absence of the Registered Manager, it is recommended that the employer uses the most senior person (this may vary dependant on size of the care organisation but could include the Responsible Individual, a Director, Registered Nurse, Assistant Manager, Senior Care Worker or Registered Manager of another service within the same company, if relevant). It would be useful to document alongside the staff record why this person was selected to sign off, with the aim to ask the appointed Registered Manager to counter-sign when they return or a new Registered Manager to sign if the original is replaced. If the care worker is concerned that the training, supervision and assessment is not providing them with the skills and competences needed for the role, they should discuss as a priority with their line manager. The majority of employers will want to support their new worker to have the appropriate skills for the role. If the care worker has concerns about the appropriate training, supervision and assessment not being provided and unsafe practice exists, they may wish to notify the Care Quality Commission (CQC) or – if the employer is not a regulated provider – the local authority regarding safeguarding concerns. Should the focus of staff inductions be limited to just the Care Certificate? No. Every new member of staff will benefit from an induction that familiarises them with the service and provides the training, support and supervision that is needed for the role they undertake. Whilst the Care Certificate is the minimum expected of those who are new to the sector, if their duties cover more than the scope of the Care Certificate then this training, support and supervision should be planned too. If recruiting new workers with previous experience, the employer would be expected to induct them into the service but may customise what is covered in this process. An effective induction can help build trust and confidence leading to higher productivity and the retention of workers. What should adult social care services consider when commissioning out some parts of the Care Certificate delivery? Responsibly for the quality of the induction of new workers rests entirely with the adult social care service. For regulated services, the Care Quality Commission (CQC) will expect the service to internally deliver or commission high quality learning provision. Failure to do so can impact on the quality of care and meeting the CQC Fundamental Standards of Quality and Safety. Adult social care services commissioning out some parts of the Care Certificate to a learning provider must carefully select these based on their ability to effectively train the care workers. Before commissioning any training, services should review the training materials, understand the experience and qualifications of those delivering the training, follow up references etc. The Care Certificate was introduced in April 2015 and is intended to be one part of the induction for healthcare support workers and adult social care workers, including care workers who provide direct care in residential settings, nursing homes and hospices, homecare workers and domiciliary care. The Care Certificate comprises of 15 standards and sets out the learning outcomes, competences and standards of care that healthcare support and adult social care workers are expected to deliver. General information We’ve developed some answers and questions for adult social care organisations and the wider public; these will be regularly revised. You can download a full set of questions and answers for health and social care professionals here. And download a full set of questions and answers for the public here. Do PAs have to complete the Care Certificate? A PA does not have to have complete the Care Certificate. However as an employer you’re responsible for ensuring that your PA(s) have the right skills and knowledge to do their role, and a thorough induction is a key part of this. If you recruit a PA who is new to care you might choose to use the Care Certificate as a basis for your induction, and tailor it to your workplace arrangements and care and support needs. If you employ a PA with experience they may have already achieved the competencies or completed the standards outlined in the Care Certificate. But it’s good idea, as part of their induction with you, to ask them about their previous experience and training to ensure that they meet your requirements. There’s a selfassessment template to help you do this – download it here. This will help you to decide what further training, if any, might be necessary for the PA. If you use a service where your PA is employed by a provider who’s regulated by the Care Quality Commission (CQC), rather than yourself, then the CQC expect that those who are new to care will achieve the competencies required by the Care Certificate as part of their induction. Does a PA performing delegated healthcare tasks have to complete the Care Certificate? The Care Certificate is intended to be part of an induction for staff employed as health care assistants, assistant practitioners, care support workers and those giving support to clinical roles in the NHS where there is any direct contact with patients. For PAs performing delegated healthcare tasks the Care Certificate is not mandatory but is considered best practice. Why should a PA complete the Care Certificate? The Care Certificate sets out the knowledge, skills and behaviours that are expected of health and social care workers to ensure they deliver high quality care and support. It’s been developed by the sector and ensures that all new workers are supported when they first start working in care and lots of this knowledge, skills and behaviours will also be relevant to PAs. Therefore, the Care Certificate (or parts of it) can be used as part of a PA induction which will form the introduction to their career in social care and/or health. Can a PA complete only part of the Care Certificate? You can use separate standards to form the basis of an induction, but the Care Certificate will only be awarded if all 15 standards are completed and the PA’s skills are deemed proficient in a work place assessment. Within the workplace assessment the employer must be satisfied their employee meets all standards of the Care Certificate. What role does an individual employer have in supporting their PA in completing the Care Certificate? An individual employer may wish to judge whether their PA could benefit from completing some or all of the Care Certificate, based on their [the PA’s] skills and training needs. Employers are responsible for assuring the quality of the teaching and assessment of the Care Certificate. The assessment must be carried out by someone who is ‘occupationally competent’; this is someone who has the necessary experience to judge whether the learner has demonstrated the required competences. The guidance doesn’t specify that someone delivering the training and carrying out assessment needs a specific qualification. The person who does this could be the individual employer if they’re experienced and have the confidence to assess someone; or another PA could be used if they have sufficient care experience in assessing others. Employers may find the list of National Occupational Standards for assessing learning and development useful when considering the competencies required for assessment. Where an employer or their existing staff don’t feel confident or competent to assess, they may wish to consider support from: the organisation issuing their budget [if they receive one], a local support organisation or a training provider. What training and support is available for individual employers who want their staff to undertake the Care Certificate? Individual employers can apply for funding from Skills for Care to cover the cost of care related training for both themselves and their PAs, including the Care Certificate. For more information about the funding go to http://www.skillsforcare.org.uk/iefunding. 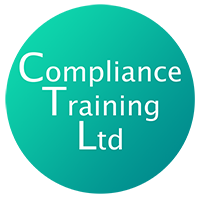 At Compliance Training Solutions we deliver Care Certificate training. This training is just one element of what is required to award the Care Certificate. It is important that employers also follow all the guidance set such as supervision, assessment of competencies, on the job observations…. We have come across several organisations which we feel would benefit from some additional information on assessing competencies, in particular in regards to holistic assessment. To be an assessor you must have a thorough understanding and direct experience in what you’re assessing. This could be a qualification related to the role of assessor but there is no requirement for assessors of the Care Certificate to hold any assessor qualification. The new care worker is accompanying X to their medication review with the GP. The new care worker has met X several times during induction and will be supporting them regularly in the future. X lives in a flat independently and carers visit him twice a day. X has learning disabilities and suffers with back problems. The senior care worker is experienced in providing support to people with learning disabilities living in their own accommodation. The senior care worker is regarded as someone who always provides high quality care and who engages with the people being supported in personalised way. The senior care worker will be going along to X’s GP appointment with X and the new care worker to observe practice and assess for the Care Certificate. X knows the senior care worker well as the senior care worker often supports X with his morning routine. X has given permission for the assessment to take place. Standard 14: Handling Information – Care Certificate Standards that could be demonstrated: 14.1c Demonstrate how to keep records that are up to date, complete, accurate and legible. X has limited mobility and uses a walking frame in the house. X also has a lack of co-ordination. Carers visit X twice a day. The new care worker will be visiting X for the second time today to accompany them into town and go for a coffee. As the new care worker is in this induction period, the new care worker is accompanied by a more experienced team member who is also able to assess the Care Certificate. X is aware and approves the assessment process. X lives in a care home. X has arthritis in hands and arms so finds holding items or using fingers very painful and often not possible. The new care worker, is going to support X to get dressed in the morning. The new care worker and X have spent a lot of time together over the last few weeks and X has been supported to get dressed numerous times. An experienced Care Worker and will be assessing the new care worker’s competence against Care Certificate Standards. X has granted permission beforehand for the assessment to be observed. A new care worker will be assisting a client, to prepare a meal. This process has been explained to the client who has agreed to an extra person observing the assessment. The process has also been explained to client’s next of kin, who are also in support of it and see the benefit of new workers’ practice being observed and signed off. The new care worker will check with X what they would like to eat and support in the preparation of the meal in accordance with the care plan. X will be encouraged to do as much as they can independently. The new care worker will wash their own hands prior to any food preparation and ensure any special utensils are clean and ready for use. The food and drink will be placed in a position easy for X to access. The new care worker will check any communication devices are in good working order. The new care worker will review progress to date with the supervisor/assessor. They will reflect on something that has happened during their induction which has enabled them to use some of the learning they have achieved since they have started within their role. They will discuss the way they are to work and where they can refer to for guidance if unsure, and why it is important to work in ways that are agreed with their employer. The new care worker will describe what is meant by ‘duty of care’ and describe how it affects their role. From this they will develop and complete a plan for further assessment. A discussion should also take place with the new care worker describing how they have had feedback from the people they are supporting and work colleagues, on their work and how it has assisted their development. They will also explain why this feedback is important. The new care worker will check the client’s care plan before supporting the client with personal hygiene and support to use the toilet. The client must agree to the assessment taking place. The new care worker will check with the client they are happy and comfortable and go through what they will be doing. The new care worker will encourage the client to select any clothes, toiletries equipment necessary to perform the tasks. Dignity will be maintained and the client encouraged to do as much for themselves as possible. The new care worker will ensure they have washed their own hands prior to assisting the client. If the client has time alone in the bathroom the new care worker will knock on the door and wait for a response before entering. The new care worker will assist the client to wash themselves being mindful of any changes in the client that may require discussion and noting as part of their ‘duty of care’. When assisting with using the toilet the new care worker will assist the client to dispose of any waste safely and in line with health and safety requirements. Communication throughout will be respectful. After assisting the client the new care worker will ensure they are comfortable and leave the environment tidy and as the client wishes. Recording will be made as necessary in the client’s notes. 1.4c Demonstrate behaviours, attitudes and ways of working that can help improve partnership working. Standard 5: Work in a person centred way – Care Certificate Standards that could be demonstrated: 5.5a Ensure that where individuals have restricted movement or mobility that they are comfortable. That was July 2013, and since then a partnership was formed led by Health Education England, working closely with Skills for Care and Skills for Health. The partnership’s remit has been to develop the standards and framework for the delivery of the Care Certificate, with guidance from the Department of Health and its Cavendish Governance Assurance Board. The outcome of this unique collaboration – the Care Certificate – looks set to be a first step in integrated health and social care education for these staff, with successful cross sector support and development at its heart. Part of the process of developing the Certificate has been to review existing standards and best practice across both the health and social care sectors to make sure that the very best of current guidance and practice is transferred over to the Care Certificate. Following this, draft materials for the Care Certificate were developed and agreed in April last year and both formal and informal field testing took place since then until September 2014. Field testing was an essential phase of the Care Certificate development, and the Partnership engaged with a wide range of employers and staff across health and social care in a number of ways. The formal pilot consisted of 29 organisations across health and social care, with a further 85 employers testing the Certificate involving over 1,000 support workers. In addition, 80 organisations and individuals have responded directly to members of the working partnership, and Skills for Care received 155 responses to an online survey specific to the social care sector. The feedback given during this pilot phase and the comments submitted by employers was broadly positive and indicated that the draft proposals were appropriate in the terms of content and process. After a thorough analysis of the feedback, HEE, Skills for Care and Skills for Health made a number of recommendations which were agreed by the Department of Health Governance Assurance Board and publicly announced in December 2014. The recommendations from the Partnership will help to shape the content, delivery and implementation of the Care Certificate when it is rolled out across England from March 2015 – from which point it will replace the Common Induction Standards and National Minimum Training Standards for all new starters in health or social care. The Care Certificate should be prioritised by employers for “new staff, new to care”. That all employers will need to undertake assessment as prescribed in order for someone to be awarded the Care Certificate. Detailed guidance on assessment will be available from January 2015. Employees and employers will be reassured to that learn that the Care Certificate has been designed with transferability in mind. So, regardless of the setting in which care is delivered by support workers, the fundamental principles of the Care Certificate remain the same. In other words, whether working in an acute hospital setting, a GP surgery or within domiciliary care, the Care Certificate provides employees with an essential understanding of the basic building blocks of care and the skills required to deliver this on the frontline. Once acquired, these “fundamentals of care” will be transferred by individuals between roles. The Care Certificate does not replace an employer’s induction process, but is a key component of the total induction process, which will naturally vary between organisations to reflect their individual visions, settings and language. Many health and social care organisations will already have robust assessment processes in place to ensure employees are delivering the fundamentals of care to the best standards possible. In this sense, the Care Certificate can be viewed as a way of standardising and formalising this process – and making it easier for all institutions and individuals to reach the high standards needed to ensure patient and service user safety and care. The vast majority of supervisors in both health and social care settings will be assessing the “fundamentals of care” in their staff on a regular basis and so the role of the manager as an assessor of the Care Certificate for new staff, new to care should be a natural progression from this. The Partnership also envisages that many employers will utilise the standards set out by the new Certificate as a guide for all staff – to ensure that the current and future workforce as a whole is meeting the essential criteria to deliver frontline care. Whilst at the present time there is no requirement for existing staff to complete the Care Certificate it is likely that there will be staff who will be keen to do so and so employers can consider how best to retrospectively award it using review of each workers current experience and practice. So, how will assessment work? The Partnership has set out that assessment must be within a care setting, in practice and with people who use services and patients. Assessment will be completed face-to-face by an occupationally competent assessor. Ultimately, the employer is responsible and accountable for assuring the quality of the delivery and assessment of the Care Certificate. Certification should be recorded by the employer and where possible, made accessible (for example, recorded on ESR – electronic staff records – in the NHS). Certification: what does it mean for support workers? The Care Certificate is a step to meeting the essential standards set out by the Care Quality Commission and there is an “expectation” that it is completed by all new starters in care and that this process is in place by the middle of 2015. It is important to note that the Care Certificate should be seen as just the start of the journey for those applicable support workers entering the sector within Bands 1-4 – the knowledge and skills required to achieve the Care Certificate’s 15 standards cover the fundamentals of care. This is the first “stepping stone” from which support workers can enter a career pathway, taking advantage of opportunities such as apprenticeships and diplomas. On completion of the Care Certificate, support workers will be awarded a Certificate. The Care Certificate will be valid and have ongoing relevance throughout an individual’s personal career pathway. The launch of a new initiative with such significance to the delivery of frontline care, spanning both the health and social care sector, naturally raises a number of questions for those tasked with its implementation. The need for clarity in terms of delivery was an issue raised by a small number of organisations during the pilot testing and the Partnership has aimed to address this via the creation of a comprehensive series of support materials. These will include a national Workbook, and a range of guidance and supporting materials. The partner organisations will also be hosting a national event ‘The Learning Exchange’ where pilot sites will be sharing their experience of testing the Care Certificate with colleagues who have responsibility for learning and development. Furthermore, a series of regional events will take place from February to April 2015 for employer education and training leads to help prepare them for the delivery and implementation of the Care Certificate. These sessions will also give employers the opportunity to discuss their plans including delivery, assessment, learning materials etc. Guidance, documentation and learning materials on the Care Certificate to support employers in preparing for the Care Certificate will be available to download free from the end of January 2015. Visit http://www.skillsforhealth.org.uk, http://www.skillsforcare.org.uk and http://www.hee.nhs.uk. For updates on Twitter, follow or tweet #CareCert. Lancaster, Manchester, Liverpool, Warrington, Blackpool, Chester, Stockport, Sale, Bolton, Preston, Rochdale, Blackburn, Wigan, St. Helens, Wythenshawe, Salford, Oldham, Southport, Birkenhead, Bury, Bootle, Carlisle, Northwich, Burnley, Barrow-in-Furness, Crewe, Runcorn, Widnes, Wallasey, Ellesmere Port, Altrincham, Macclesfield, Crosby, Leigh, Accrington, Lancaster, Ashton-under-Lyne, Middleton, Lytham St Annes, Urmston, Kirkby, Skelmersdale, Eccles, Stretford, Denton, Leyland, Chadderton, Morecambe, Chorley, Hyde, Huyton, Thornton-Cleveleys, Prestwich, Saddleworth, Winsford, Farnworth, Radcliffe, Nelson, Kendal, Heywood, Reddish, Darwen, Hindley, Cheadle Hulme, Fleetwood, Congleton, Swinton, Workington, South Turton, Westhoughton, Wilmslow, Ormskirk, Golborne, Whitehaven, Stalybridge, Marple, Whitefield, Droylsden, Penwortham, Formby, Litherland, Newton-le-Willows, Aherton, Rawtenstall, Royton, Walkden, Shaw and Crompton, Failsworth, Maghull, Halewood, Horwich, Irlam, Dukinfield, Colne, Poulton-le-Fylde, Sandbach, Ramsbottom, Moreton, Bramhall, Nantwich, Haslingden, Upton, Hazel Grove, Clitheroe.Bedale, Easingwold, Filey, Harrogate, Knaresborough, Malton, Middleham, Northallerton, Pickering, Richmond, Ripon, Scarborough, Selby, Settle, Skipton, Tadcaster, Thirsk, Whitby, York, East Yorkshire, Bridlington, Beverley, Driffield, Goole, Hedon, Hessle, Hornsea, Howden, Kingston upon Hull, Market Weighton, Pocklington, Withernsea, South Yorkshire, Barnsley, Bawtry, Dinnington, Doncaster, Hatfield, Mexborough, Penistone, Rotherham, Sheffield, Wombwell, West Yorkshire, Batley, Bradford, Brighouse, Castleford, Cleckheaton, Dewsbury, Halifax, Hebden Bridge, Holmfirth, Huddersfield, Ilkley, Keighley, Leeds, Morley, Normanton, Ossett, Otley, Pontefract, Pudsey, Todmorden, Wakefield, Wetherby, Yeadon, Chester, Crewe, Ellesmere Port, Macclesfield, Northwich, Hazel Grove and Bramhill, Wilmslow, Winsford, Congleton, Sandbach, Neston, Alsager, Poynton, Nantwich, Middlewich, Knutsford, Lymm, Frodsham, Bollington, Weaverham, Holmes Chapel, Helsby, Prestbury, Disley, Saughall, Tarporley, Willaston, Kelsall, Tarvin, Rode Heath, Goostrey, Tattenhall, Mickle Trafford.